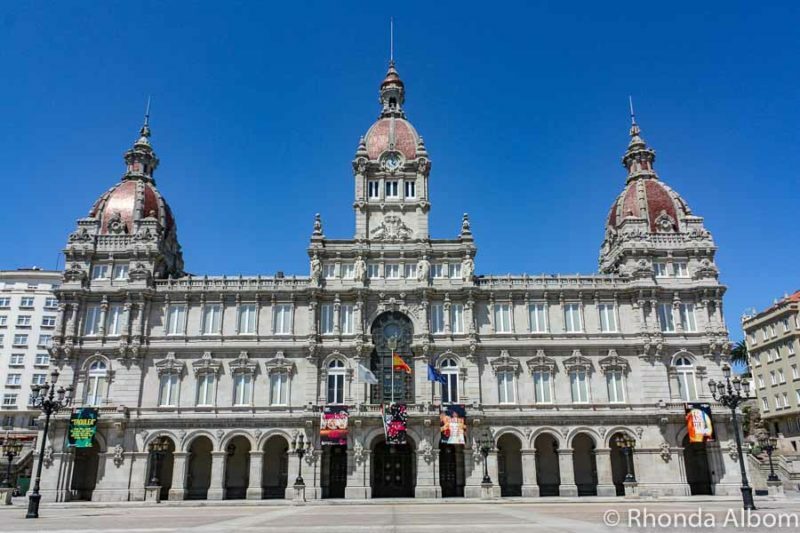 La Coruña Spain is located in the northwest corner of Spain, in the Galicia region. A rocky peninsula, it’s a section of the country often skipped by tourists. Actually, this city found us when a family offered us a home exchange. 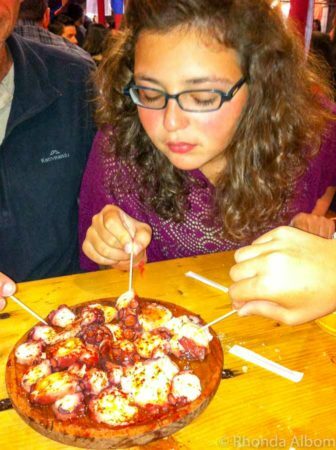 As it turns out, there are plenty of things to do in La Coruna. The city is called La Coruña in Spanish, and A Coruña in Galician. Both are official languages of the region, and the names can be used interchangeably. 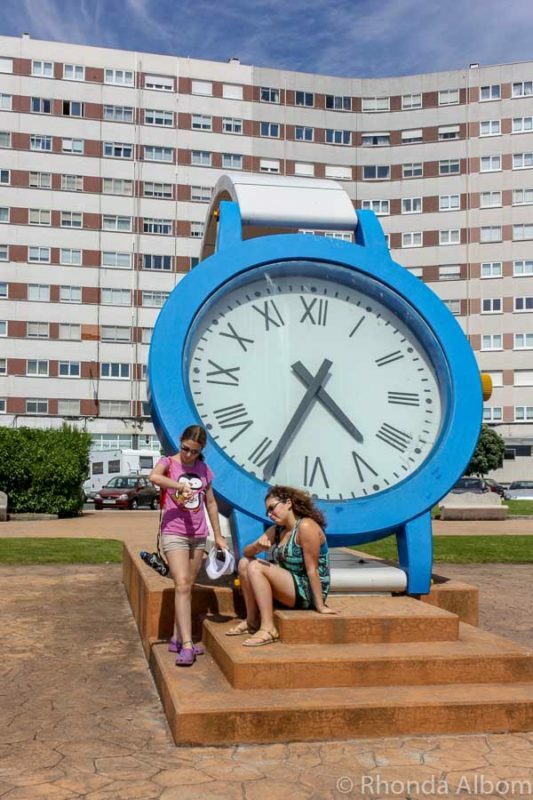 We spent part of nearly every day of our two weeks in La Coruña at the beach or walking by it. There are several lovely beaches within a few minutes walk from our home exchange house. Looking at the crowds on the beach, I would have expected more people in the water, that is until I stuck in my toes, and discovered very cold water. There are a variety of beaches, from family friendly to surf beaches. Many have lifeguard stations. One of a string of A Coruña beaches along the Orzán Cove. Hercules Tower is the world’s oldest working lighthouse and a UNESCO World Heritage Site. It’s also the number one tourist site in La C0ruña. Like many visitors, we opted to climb the 234 steps to the top to experience a very windy panoramic view of the city. Torre de Hércules was built in the 1st-century by the Romans. It gets its name from a legend suggesting that Hercules constructed the 59 metre high stone tower to celebrate his victory over the Giant Geryon. 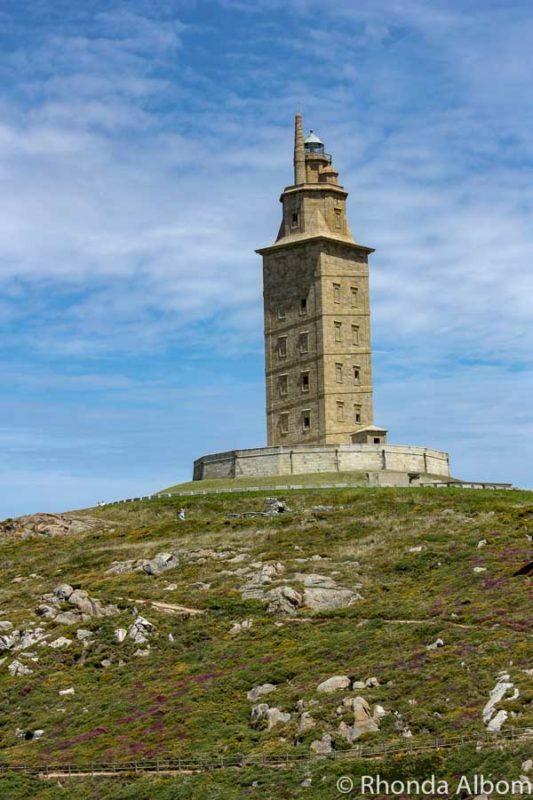 Hercules Tower is the world’s oldest working lighthouse. We found ourselves strolling along the Paso Maritimo on more than one occasion. This coastal pedestrian promenade runs 9 kilometres (5.6 miles) from the main beaches to the Torre de Hércules and through the Old Town. It passes modern buildings as well as historical ones, as well as bringing visitors to the aquarium and human body museum. Some of the more unique buildings are found along Avenida Marina and are built with enclosed balconies. 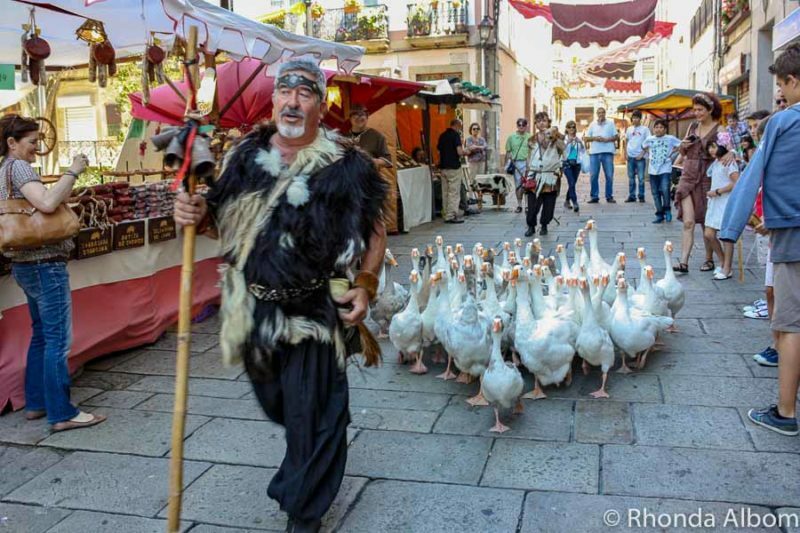 Called galerías, they are responsible for A Coruña’s nickname of the ‘Glass City’. Built in the 19th century, the galerías along Avenida Marina are an architectural style with enclosed balconies. This is a town made for walking and exploring. I only recommend this tour to people who understand Spanish. This two-hour walking tour starts in Maria Pita Square and covers the key sites of the city including the Old Town and local markets. The tour is available at multiple start times, in either English or Spanish. The Town Hall is located in Plaza de María Pita. Inside the Town Hall are an interesting clock museum, a few huge mosaic artworks, and some impressive stained glass. The plaza itself is named for national hero María Pita. She prevented a Britsh invasion in the 16th century when she killed a British soldier and encouraged a counterattack against an imminent British invasion. Her statue stands prominently in the square. Inside the Town Hall Building is an interesting clock museum. The San Anton Castle and Fort is located at the water’s edge. Technically, it is an island unto itself that has been attached to the mainland. Today it is an archaeological museum with a huge cistern underneath it. San Anton Castle and Fort from the exterior. Like so many places in La Coruna, very little was in English. However, with a large number of interactive exhibits, and our daily improving Spanish, we were able to enjoy the day. The planetarium show was easier to follow, as it was mostly visual. For the girls, the highlight was the baby chicks hatching. There were several eggs and chicks in the incubator. We had perfect timing for one chick as it had broken through the shell and was ready to come out into the world. 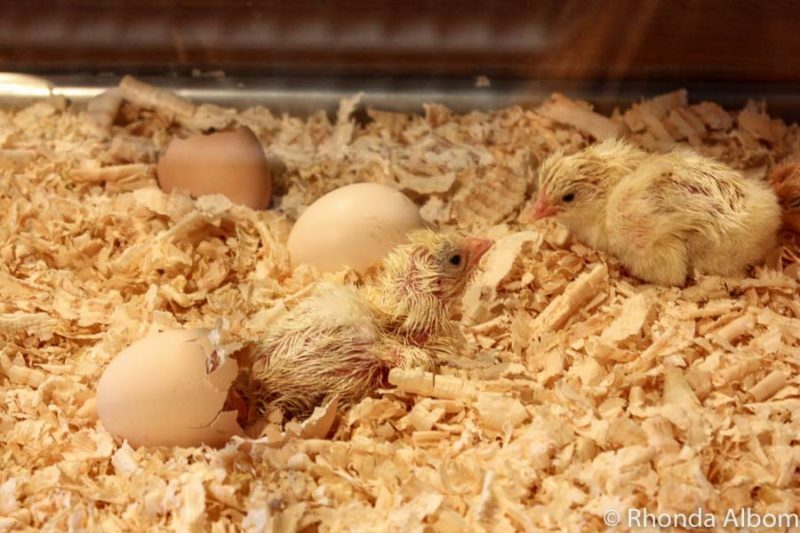 Watching these chicks hatch was one of the highlights of the Planetarium and Science Museum. 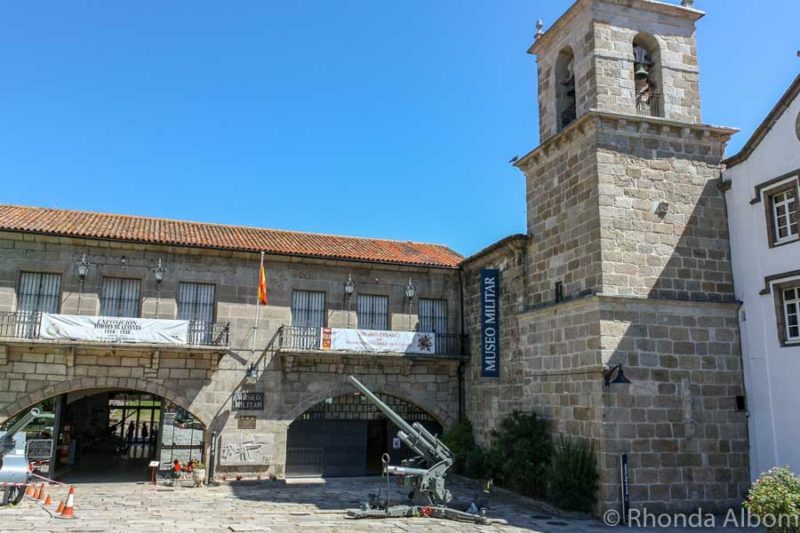 The museum takes us through La Coruña’s interesting military history. Best of all, it’s free to enter. Museo Histórico Militar de Coruña. Fascinating, but mostly in Spanish, this is the world’s first museum dedicated entirely to the human species. From our evolution to our cells, the human body museum explores what makes us all alike, or different. This statue stands outside the Human Body Museum. The seal colony is one of the highlights at this aquarium. With a local focus, Finisterrae Aquarium is a bit different than others we have been to around the world. The Picasso Museum is in the actual home that Pablo Picasso and his family lived in beginning in 1891. He spent 4 years of his childhood in A Coruna. As the name implies, this is a fun place. 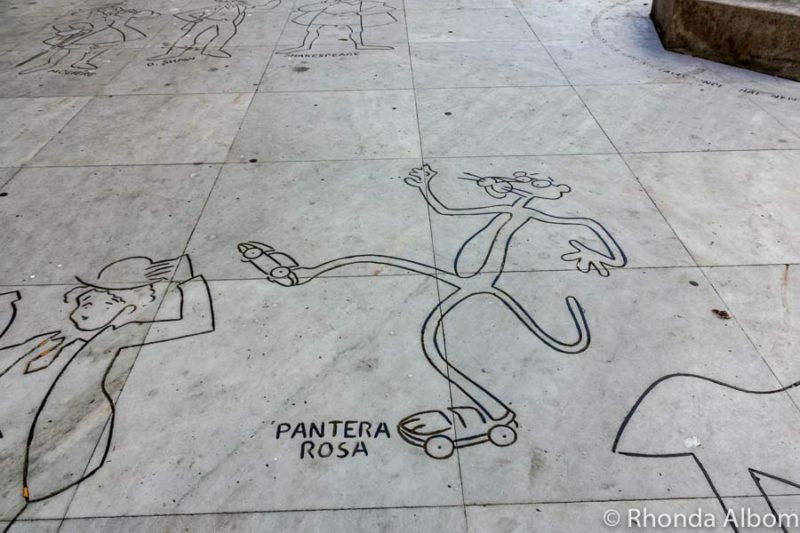 A small plaza with ground carvings of older cartoons like Pedro and Pablo (Fred Flinstone and Barney Rubble), the Pink Panther, or artists like William Shakespear or Bernard Shaw. 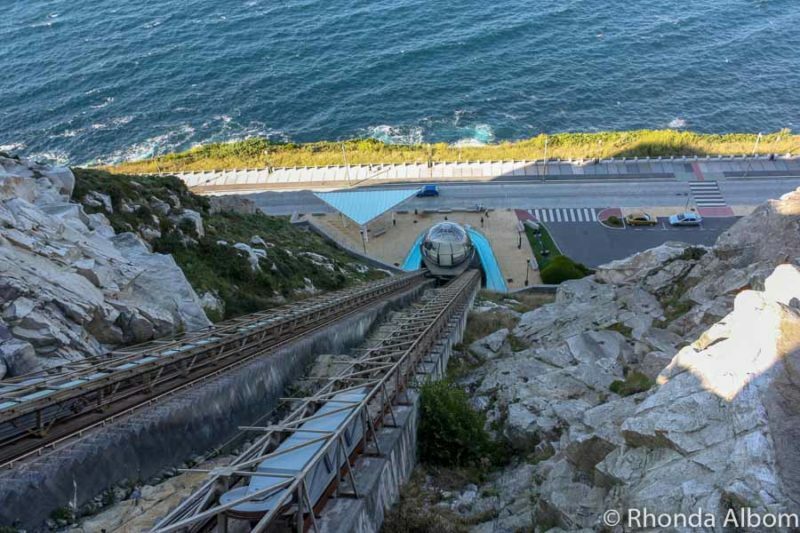 San Pedro hill is another spot to get fabulous views, and the best way to get up here is in a huge spherical glass funicular. One can enjoy the views all the way from bottom to top in this panoramic lift. Looking down at the Ascensor panorámico (panoramic lift) from San Pedro Hill. We walked through the Old Town admiring many of the churches. 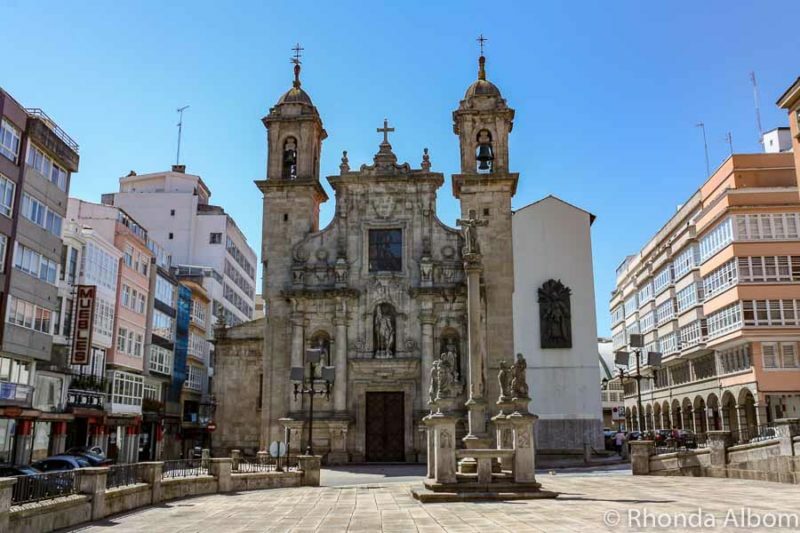 Built in the 12th century, Iglesia de Santiago Apostol is the oldest church in La Coruña. We went on two road trips that we recommend. Santiago de Compostela – This is probably the most visited city in the Galicia region. 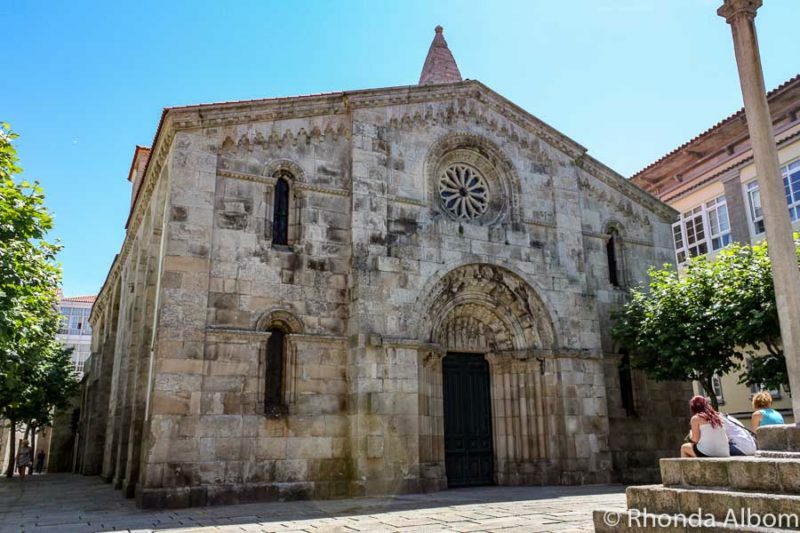 It is the destination of the of the Camino de Santiago pilgrimage route, as well as being the reported burial site of the Biblical apostle St. James. Lugo, Spain – Another Roman-built city full of history. 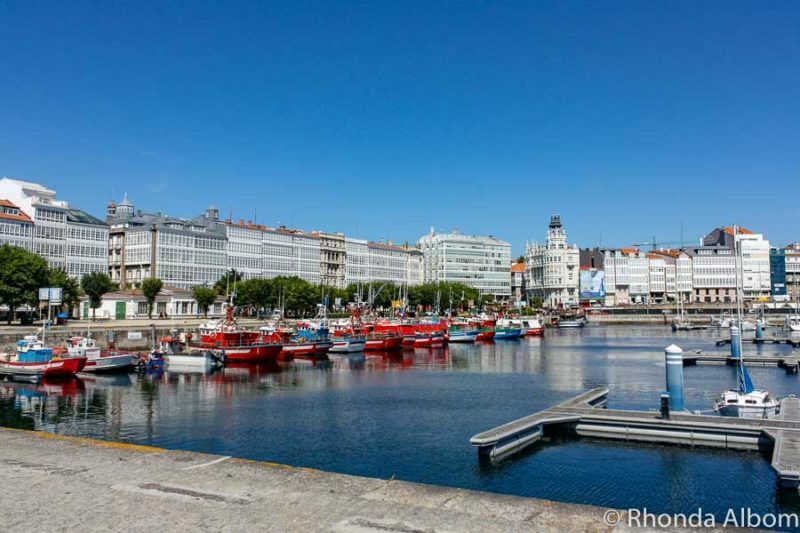 A Coruna is the place to be in the summer if you are a fan of festivals. There is one nearly every weekend. Below are photos from two of the festivals we attended during our two weeks in this part of the world. The medieval buildings surrounding the stalls and activities added to the fun of this medieval fair. It’s a Medieval Fair that I highly recommend if you are in town while it is going on. We stumbled upon a festival as we were walking along the waterfront in La Coruna. While my conversational ability in “Spanish” is certainly acceptable, my ability to speak anywhere in the Galicia region is non-existent which is why I never learned the name of this August festival. 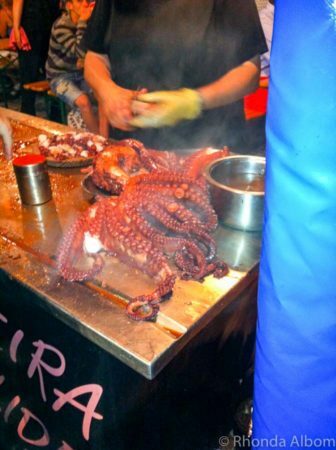 Each booth offered a different food and we opted to try the octopus, a local treat. We had a car in Spain as part of the home exchange deal we made with another family. Had we not had the car, we would have rented a car with RentalCars.com. We have had good experiences using them in other parts of the world. They offer cars from a variety of local dealers, and to date, we have always paid less or the same as going directly. It is the customer service with RentalCars that has us coming back when we need a vehicle. We spent two weeks in La Coruña. If we arrived via ship and didn’t intend to spend a lot of time in the region, I think we would have gone directly to Santiago de Compostela on an excursion. 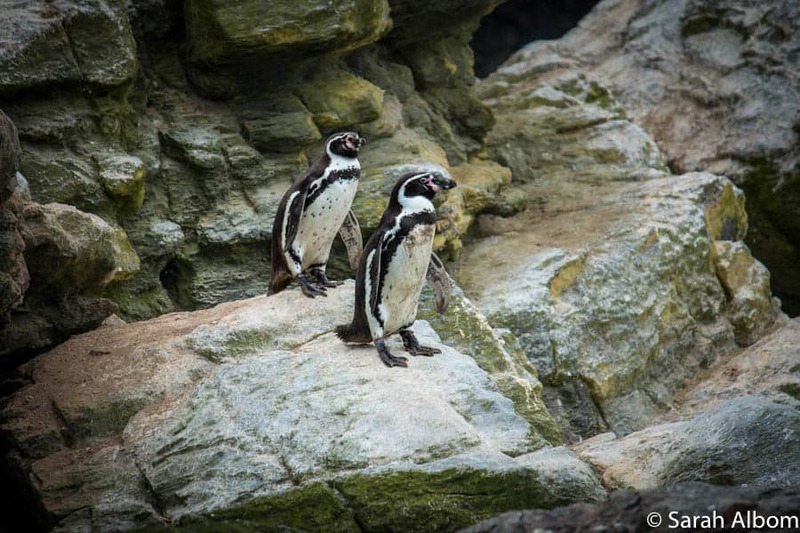 We are fans of booking excursions independently, as we generally have smaller groups at a lower price than we do if going with the ship’s excursion. **Santiago de Compostela is a top destination among cruise ship passengers. If you prefer a private tour to the excursion provided by your cruiseline, check out this option from Viator, a TripAdvisor Company. There is a busy airport in the city, offering flights from multiple airlines. We always use the Skyscanner app to find the option, then compare prices there and directly with the airline sites. We stayed in a private home, but when we return we plan to stay at Hesperia A Coruña Finisterre, a luxury accommodation in the heart of La Coruna. Fabulous views, comfortable beds, great location, and extended breakfast are all raved about in the reviews. It looks like the place to stay in this city. Home exchange is a great way to save money while travelling, and have someone looking after your home while you are away. The idea is to swap house (and sometimes cars too) with another family of your choosing. We have done this successfully multiple times, and it is what brought us to La Coruña in the first place. It is one of two we have completed in Spain; our other home exchange was in Costa Brava. Whether you arrive via cruise ship for a day or come for two weeks as we did, make sure you spend some time walking on the Paso Maritimo. 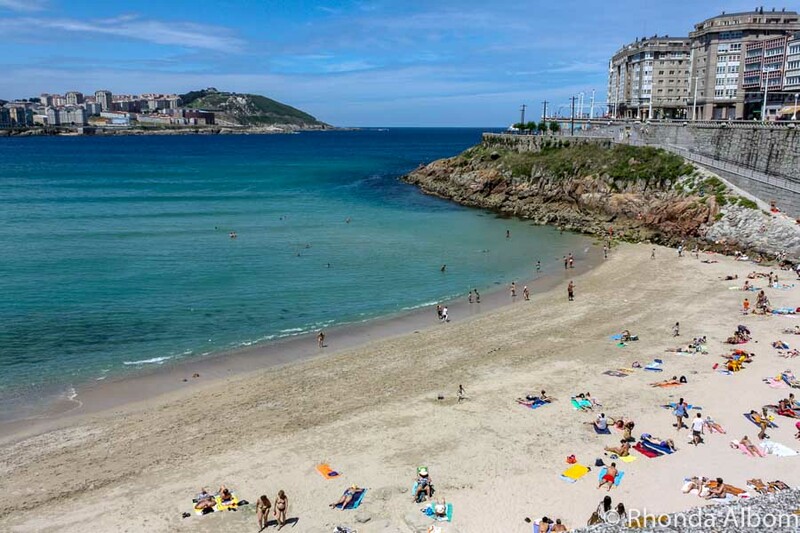 Wear a wetsuit if you plan to surf at any of the A Coruna beaches. Walk up to the top of Hercules Tower. Timed tickets are sold to limit the number of people inside at a time. Get there early if possible for a shorter queue, and to not miss out on the day. If you go into Castillo de San Anton, be sure to go down the stairs to see the cistern. 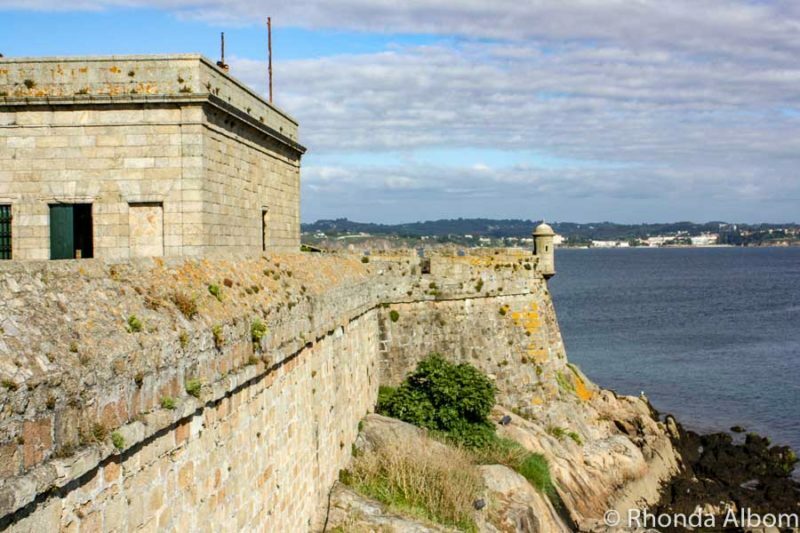 If you enjoyed this article on things to do in La Coruña, please share it on social media, including Pinterest. 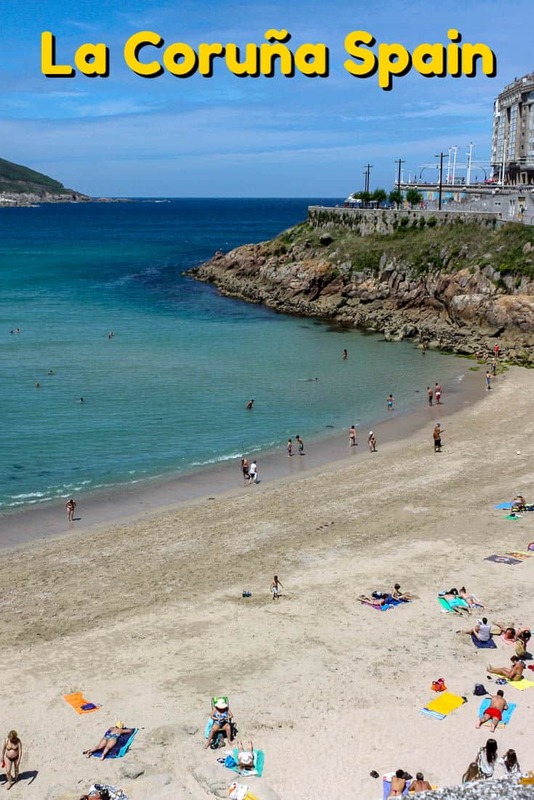 What will you do first in La Coruña? 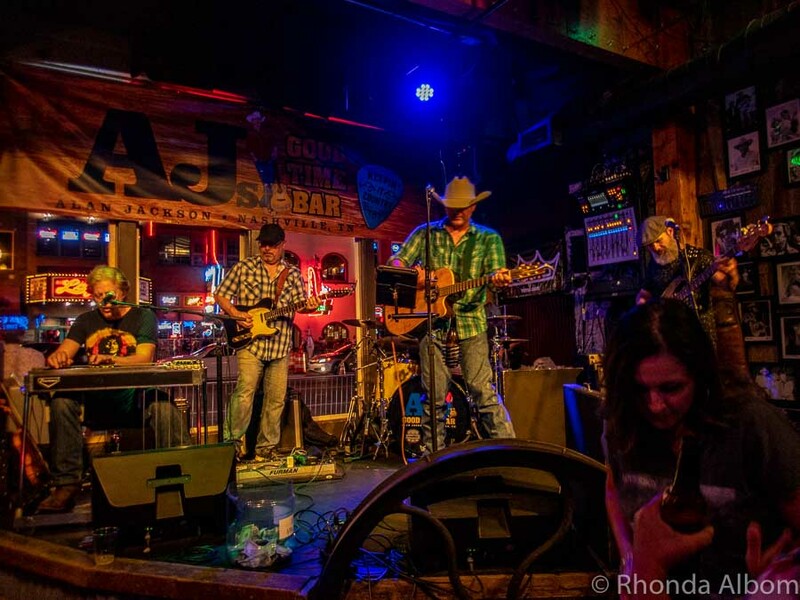 Previous Post: « One Day in Nashville Tennessee – Music City Rocks! The Human Body statue is a riot but that’s a great idea, there’s a lot to work with there. I’m a little surprised there weren’t English translations or is that being arrogant? I’d have a hard time dragging myself away from the food or beaches or ideally both at the same time. This sounds like an amazing trip! The museums would definitely be on my list of things to do!!! A beautiful place to explore… the beaches look so refreshing. Loved the architecture. It looks like a wonderful stop! I loved reading about the lighthouse. I always have to climb them when we travel near one. This looks like such a cool holiday destination – definitely on my travel bucket list ❤️ And your pics look super awesome! 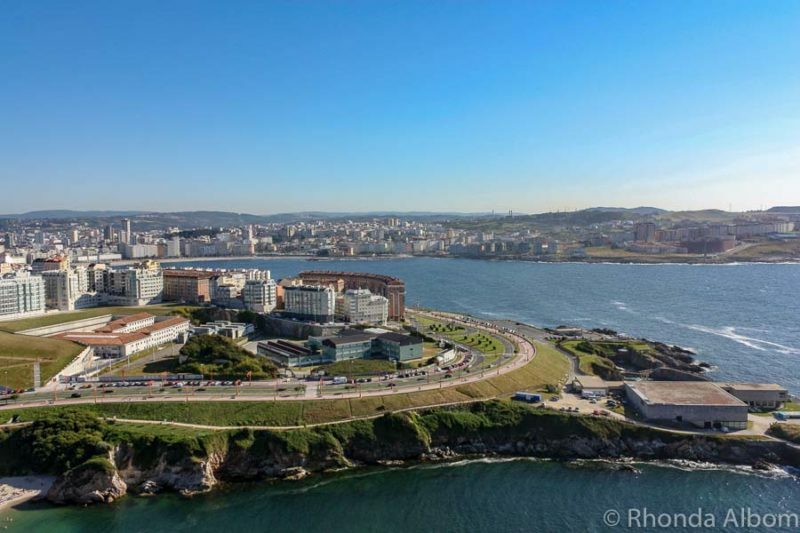 La Coruna looks so beautiful, you captured all of the beauty. I’ve never heard of that city but I now want to go there one day. 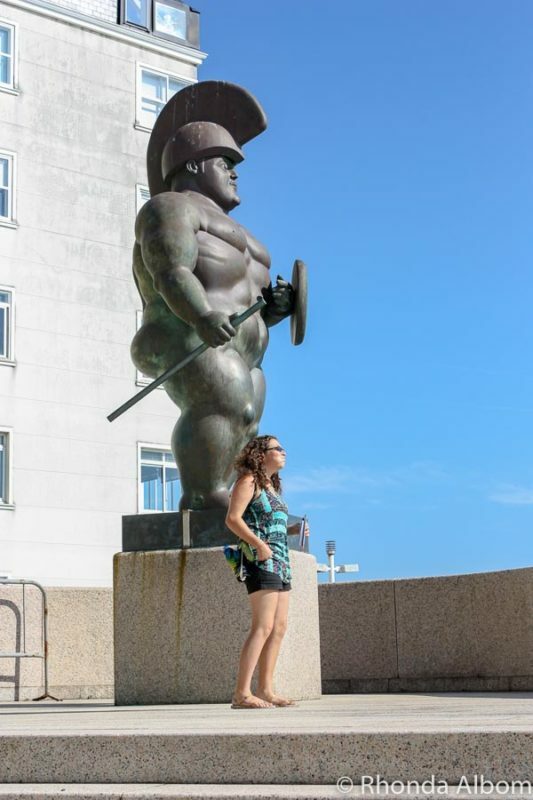 LOL I love the statue of the bootylicious warrior. I’ve never heard of this coastal Spanish town but it looks beautiful! This looks like a lovely city to visit. With a beach nearby, things are looking pretty good. Enjoy your two weeks of staying put. Wow what a beautiful place. Is that a pool or what? and the town hall is so nice. I love the structure.